Work your way through the alphabet with your playdough beside you! 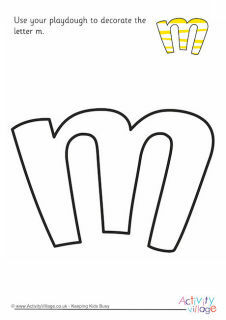 It's a fun way to get creative and for the kids to learn how to form their capital letters. Here is the complete pack of our Alphabet "decorate the letter" playdough mat set, with upper case letters A to Z.